StarSat subscribers loses another 2 TV channels; Spark and Qyou both dumped and not immediately replaced over 'poor performance'. StarSat subscribers are losing another 2 TV channels with Spark (StarSat 225) and Qyou (StarSat 165) that's suddenly getting dumped and not replaced on 30 June. That's in addition to StarSat losing the NBA channels that's going dark as well tomorrow on its platform. Once again, On Digital Media (ODM) and StarTimes Media South Africa couldn't bother to tell the media about changes to its channels and channel line-up. 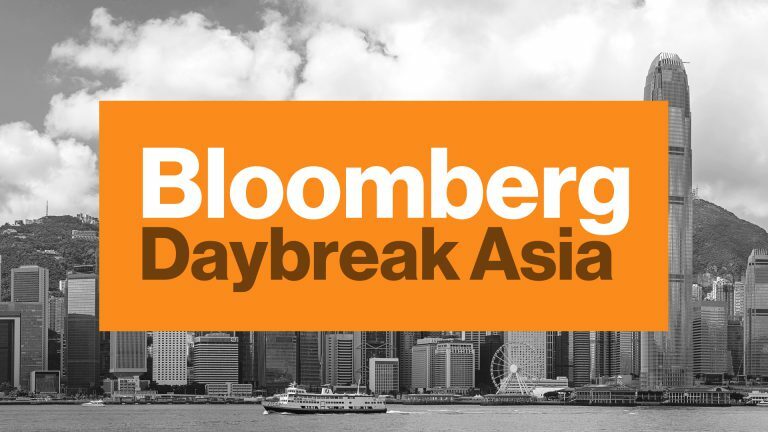 Spark and Qyou will fold over "poor performance". ODM replaced its floundering self-compiled Top Explore channel with Spark in July 2013, but now its going dark after just three years with no new factual entertainment channel replacement for StarSat subscribers. StarSat added the internet video, linear TV channel Qyou from October 2014 and it is gone after a year and 9 months. In response to a media enquiry, StarSat says "StarSat can confirm that as of 30 June Spark and Qyou channels will no longer be available on its platform. The decision to close Spark and Qyou was taken due to poor performance of both channels." "StarSat would like to reassure its valued subscribers that while these two channels will no longer be available on its platform, it does create an opportunity for the company to acquire other high quality and entertaining channels for its valued subscribers". 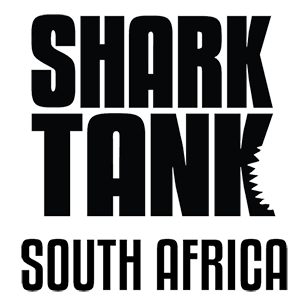 M-Net adds Shark Tank South Africa; produced by Rapid Blue, entries open for entrepreneurs to pitch their business plans to 5 business 'sharks'. While the waters around Auckland Park thesedays are filled with more vicious creatures, it's pay-TV broadcaster M-Net over in Randburg that has decided to bring a local version of the format show Shark Tank to viewers. Shark Tank South Africa is like the British Dragons’ Den that already saw a single season local version on the Mzansi Magic channel in 2014, and also revolves around investors listening to entrepreneurs pitch their business plans and ideas. 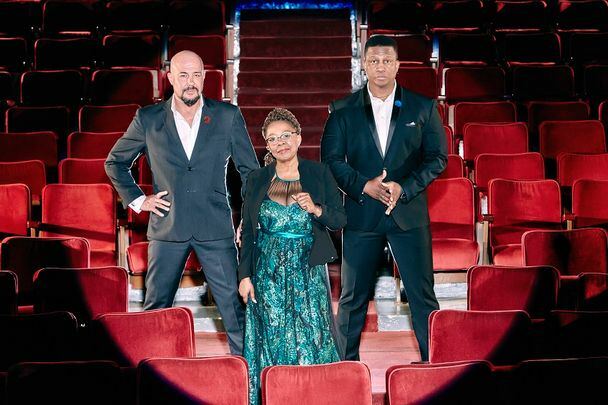 M-Net says it wants to do Shark Tank South Africa to "promote an entrepreneurial spirit in our country and believes that the fast-paced, entertaining Shark Tank format is a perfect fit for M-Net". Like Dragons’ Den SA, Shark Tank SA is produced by Rapid Blue. Filming will start in August and episodes will be broadcast on M-Net (DStv 101) from October. People over 18 can enter now until 24 July and have to submit a 60-second video business pitch and can be done on a smartphone. Successful candidates will appear before the five "sharks" – who have not been announced yet – to pitch their business plan and ask for money in the hourlong episodes. The online entry form can be found here. SHOCKER. The SABC's hilarious (yet so sad) 'justifications' for censoring SABC TV protest visuals: stray bullets, police cameras, can't show violence that would 'advance the plot'. The SABC has come up with mind-boggling reasons for why the public broadcaster suddenly decided to censor public protest visuals on SABC TV news, telling the broadcasting regulator that stray bullets might hit journalists, that it can't show violence that would "advance the plot" and that police cameras are present to capture visuals, instead of journalists, anyway. A public hearing is set for 12:00 today at the Sandton office of the Independent Communications Authority of South Africa (Icasa) after Media Monitoring Africa (MMA), the Support Public Broadcasting Coalition and the Freedom of Expression Institute (FXI) lodged a complaint at Icasa's complaints and compliance committee over the SABC's censorship decision. Besides a public protest that will also take place, an online petition, "Stop SABC Censorship" has amassed close to 5000 signatures. In an affidavit responding to the complaint, Jimi Matthews, the SABC's acting CEO, puts forth mind-bending reasons for the SABC's sudden decision that's come in for sharp and near-universal criticism and that makes for hilarious reading if it wasn't such a serious matter. Jimi Matthews told the regulator that the SABC has a responsibility not to expose its journalists and cameramen to "the dangers of being hit by stray bullet blows or affected by violent actions of protesters as has happened before". He also says the SABC's journalists don't need to film protest violence, since the South African Police Service (SAPS) has their own cameras and will do so. "Where there are members of the South African Police Service in protests‚ especially violent protests‚ the police have their own photographers and cameras to cover the situations as this conduct is criminal in its nature in terms of the law". Going even further and using text from the Broadcasting Code signed by broadcasters actually less applicable for news coverage but fictional television like movies and drama series, Jimi Matthews told Icasa that it can't show violence that's not integral to advancing a story's plot. It's not clear how the SABC knows beforehand how the "plot" of covering an unpredictable and developing news story will unfold. "The Broadcasting Complaints Commission prohibited the airing of gratuitous violence – that which did not play an integral role in the development of the plot, character or theme of the material," said Jimi Matthews. The SABC didn't provide any marketing research or other research that was used for its decision; earlier this month in an interview the SABC's controversial and famously matricless chief operating officer (COO) Hlaudi Motsoeneng said "I don't believe in scientific research". 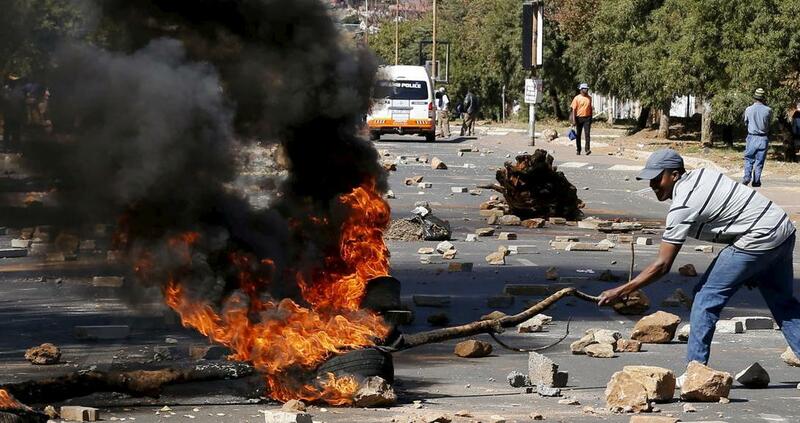 This past week the SABC came in for scathing criticism for its below-par coverage of the Tshwane unrest,compared to the full-visuals and rolling on-location news coverage that rival TV news channel on DStv, eNCA and ANN7 brought to viewers. SABC3 channel head Aisha Mohamed explains SABC3's new channel logo and look: 'A restoration; we call it a kaleidoscope to reflect the variety'. SABC3 channel head Aisha Mohamed on Wednesday explained and gave more background regarding the new SABC3 on-air look and new SABC3 channel logo that will come into effect from July 2016. At a press conference at Auckland Park the new SABC3 on-air look and new, back-to-circular channel logo incorporating a kaleidoscope effect, were unveiled to media - the new look coming a year and 10 months since the channel's previous on-air change in August 2014. "We thought it would only be fitting to also utilise the opportunity to look at how our brand is perceived in the market," said Aisha Mohamed. "We felt it necessary to revitalise the look and feel of the channel, simply because we wanted to align with the new strategy and the new focus on growing local stories and local content". "We spent a lot of time just looking at how our channel is perceived at the moment, and we felt that it really didn't fit very well in terms of our new strategy. So what we've done is we looked at our logo specifically, in terms of the animation and how it flowed." "We felt that we wanted to look at the aspirational side of what SABC3 is about - also the multiculturalness and South African stories we want to tell. The logo just suddenly didn't speak to all of that". "So our brief to the agency was to look at how it is that we can provide an aspirational, multicultural tone and how we can bring out that relevance of the South African landscape." "So the logo went through a little bit of a restoration. We moved from the very sortof square logo that you've got currently on SABC3 to a more circular dimension - we call it a kaleidoscope." "We wanted it to reflect the variety we've got on the channel specifically about the types of stories. SABC3 still delivers a cross-section of genres, and that was important in the logo build, to make sure that the animation also speaks to that." "The new logo is very much more circular. It also speaks to the SABC1 and SABC2 logos. It fits a bit more comfortably in terms of the SABC family. It has been developed to showcase a hue of colours that take us from where we are now to a little bit of a more of a variety offering. So there not necessarily one solid colour". "In terms of the kaleidoscope: just to highlight more and more that the SABC3 brand is evolving and it's changing and the South Africanness and the multiculturalness about SABC3 must come out a lot more," said Aisha Mohamed. SABC announces yet another new schedule and logo for SABC3 starting from July as it dumps international content from the channel's line-up. The SABC on Wednesday afternoon at its headquarters in Auckland Park announced yet another new schedule and another new channel logo for its rating-challenged SABC3 channel, eviscerating a large swathe of international shows and replacing it with new unknown local content and older local repeats. A ranting Hlaudi Motsoeneng, the SABC's controversial chief operating officer (COO) who didn't use a script, once again quickly veered sharply off-message,speaking about a lot of stuff that didn't have anything to do with the new schedule. The latest new SABC3 schedule, dumping highly rated international content like Survivor, The Amazing Race and Days of Our Lives and coming into effect from July, comes just 4 months after the SABC's controversial chief operating officer (COO) Hlaudi Motsoeneng in February announced and introduced a TV schedule shake-up for SABC3. 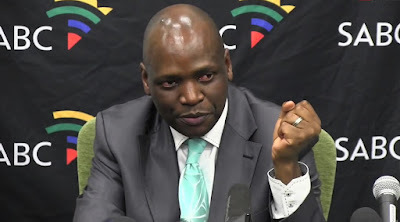 The latest new schedule, yet again moving shows around and removing some of the shows with the highest viewership ratings on the channel, is part of Hlaudi Motsoeneng dramatic makeover of the SABC's three terrestrial TV channels, ordering 90% local content be shown. Now SABC3 is getting yet another new schedule and some new on-screen talent, with viewers who will once again have to try and find where shows moved to that remain on the schedule, where new shows are scheduled and where repeats are slotted. The new SABC3 logo that will come into effect from July replaces the previous one that was introduced a year and 10 months ago in August 2014 and that viewers at the time slammed as "ugly" and "unimaginative". The sweeping change will start with 80% local content on SABC3 from July - the South African Broadcasting Corporation's only commercial TV channel that is supposed to be an income-driver for the channel with a smaller public broadcasting service (PBS) mandate than sister channels SABC1 and SABC2. While the emphasis on more local TV content is welcomed, academics and TV industry experts say the move is unsustainable long-term, given the size, capacity, skills and money of South Africa's TV biz. To produce one minute of local content for instance cost a minimum of R5000 and despite promises since October 2014 by Hlaudi Motsoeneng of R600 million made available by the SABC to local producers, this money will not be enough to fill and sustain a 90% local content programming strategy for the three channels without compromising quality and a much higher that usual repeat and rebroadcast frequency. At the SABC press conference - attended by Hlaudi Motsoeneng, Jimi Matthews (acting SABC CEO), Nomsa Philiso (SABC head of commercial enterprises) and Aisha Mohamed (SABC3 channel head) - Anton Heunis (SABC commercial advisor) said "more local content will stimulate our industry immensely". Hlaudi Motsoeneng said "SABC will do what we believe is right for South Africa". "SABC won't be the same. This is a new SABC". "We have taken a decision. And if I've taken a decision, no turning back. You'll make your own noise.We want to make sure we empower our own people". "We as SABC we're doing very well. 90% we're doing very well. Reality is, international content isn't doing well for the SABC," said Hlaudi Motsoeneng. "You must watch SABC3. you will see amazing stuff". "You don't see youth content on our platform. From 1 November we will have a youth content. We will go to universities and broadcast live in those universities. Not about politics, about the issues that affect young people". "I was an actor. 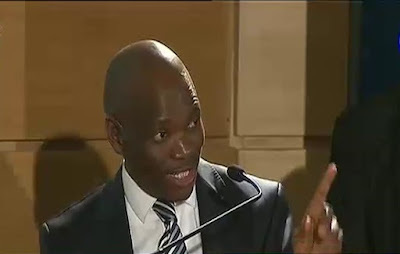 The changes you see you see is in my blood," said Hlaudi Motsoeneng. "You don't know that I work with white people. And they like me. I work with everyone". "You who write bad about us, I think about you every time. I perform well when I have forces that don't support me". Talking in the third person, Hlaudi Motsoeneng said: 'When this man takes the podium, people clap hands". Hlaudi Motsoeneng said "I don't know what is prime time. I want prime time to be every hour, every minute". He said the SABC will show all cultural and traditional events. To Anton Heunis he said: "You have your culture. Your boerewors". Hlaudi Motsoeneng slammed SABC TV news staff. "When you see our own journalists on the news, they're dead. You need more passion". He said: "Why should SABC TV News follow follow print media? Why can't we break news? I don't understand why eNCA on DStv channel 403 is better than SABC News". Hlaudi Motsoeneng said a journalist from Netwerk24 asking why the SABC isn't covering the Tshwane Unrest adequately and what the SABC's stance is on SABC reporters who are unhappy, "is spoiling the party" and that he won't answer her in the press conference. SABC TV executive Sam Maijang said "SABC3 is where the biggest impact has been to the changes that we've made. The channel continues to speak to local lifestyle and entertainment. This is content for the multicultural South Africa but with a global outlook". "SABC3 going forward will have no repeats in prime time from July." He said SABC3's daytime line-up has also been "invigorated". "We've retained some key foreign content blocks. The type of foreign content that will sit on the channel will not necessarily be the same as what has been there". He said "it's a new journey for us. It's unchartered territory for us". SABC spin doctor Kaizer Kganyago said: "Don't believe the critics. The critics who have never been in broadcasting". Aisha Mohamed, SABC3 channel head said it was necessary to change the look of the channel after seeing how the channel was being perceived at the moment. "[It has a] aspirational, multicultural tone. The logo went through a little bit of a restoration. We went from the square logo to a more circular look. We call it a kaleidoscope." "There is not necessarily one solid colour. And in terms of a kaleidoscope the brand is evolving." 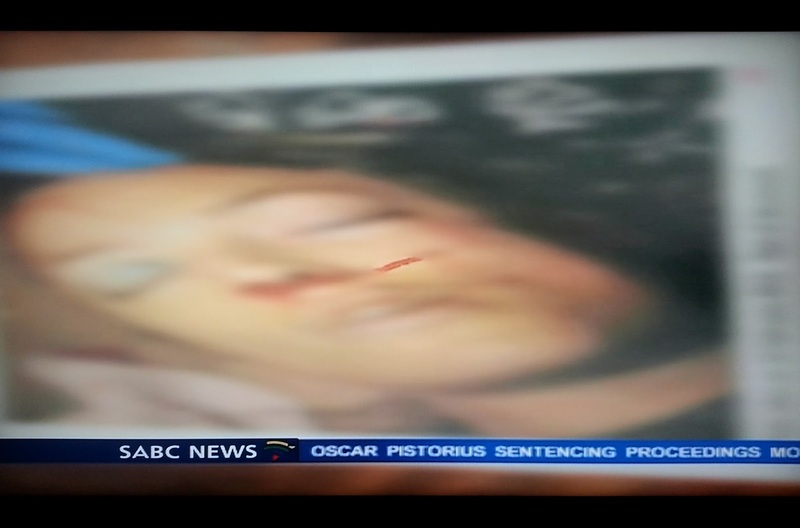 eNCA says it won't show viewers the photographs of the dead Reeva Steenkamp; SABC News shows blurred images; Sky News says 'gruesome' images not nice. 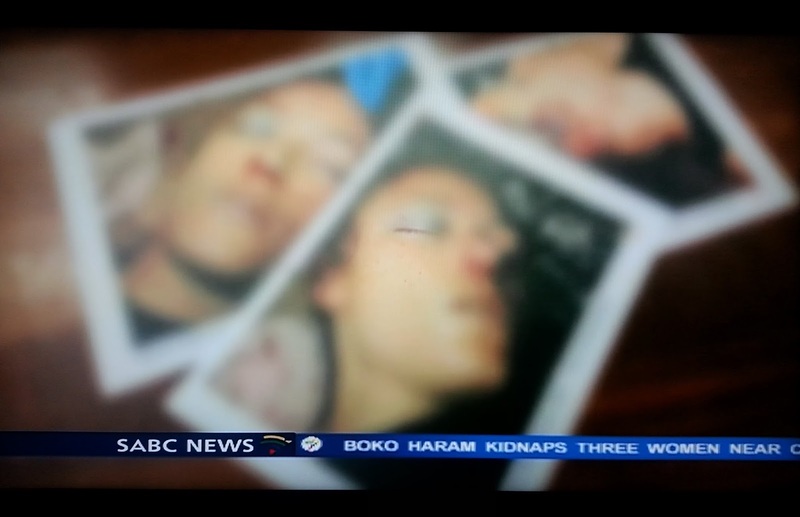 eNCA (DStv 403) on Wednesday says the TV news channel will not show viewers the gruesome and mutilated police photographs of a dead, bullet-wound filled Reeva Steenkamp while SABC News (DStv 404) showed viewers the images blurred with a warning, and Sky News (DStv 402) said the gruesome images are "not nice". TV channels and media in South Africa who want to, can now show 6 shocking, selected police photographs that form part of the submitted evidence in the sensational Oscar Pistorius trial, previously banned by Judge Thokozile Masipa. Reeva Steenkamp's parents, June and Barry Steenkamp, had the grim task of going through the sets of photographs and choose the 6 they want to share with the media and the public. 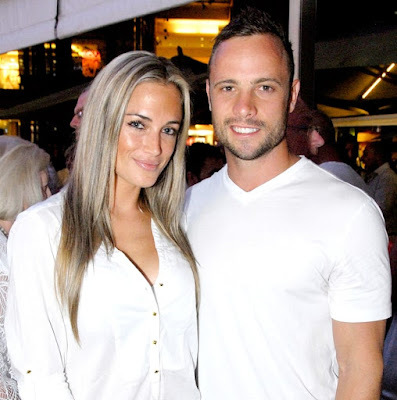 On Wednesday Judge Thokozile Masipa said media that wants to, can show the 6 released images, after Reeva Steenkamp's family like her father Barry Steenkamp on Tuesday asked for people to see the images to understand the excruciating pain her parents and family are experiencing daily. "These photographs happen to be part of the evidence which is a public record," said Judge Thokozile Masipa. "Initially not to make the photographs public was to protect the integrity of the family of the deceased. If the family of the deceased now feels that that protection is no longer necessary, it's not for me to interfere with that decision. For that reason I shall grant the request," said Judge Thokozile Masipa. eNCA on Wednesday evening told viewers that "eNCA has the photographs but has decided not to show them on air. The channel does not believe that it is in the public interest to broadcast the images." On Wednesday evening Sky News' Jeremy Thompson anchoring from outside the North Gauteng High Court in Johannesburg court this week, told viewers that "these pictures, basically restricted before, are basically close-ups of Reeva Steenkamp, with the bullet wounds. And they're gruesome pictures." "We've seen them and I wouldn't want most people to see them. They're not nice," Jeremy Thompson said. SABC News on Wednesday warned viewers that "some of the following visuals may upset sensitive viewers" in an excellent summary story of the day's court proceedings that was filed by Chriselda Lewis. The warning likely also had to do with showing video of Oscar Pistorius waddling around on his stumps in court - the filed SABC News story showed some of the jaw-dropping scenes inside the court room on Wednesday when Reeve Steenkamp's killer removed his prosthetic legs. In April 2014 both eNCA and the Oscar Pistorius Trial TV channel - produced by Combined Artistic Productions on MultiChoice's DStv satellite pay-TV platform - showed viewers one of the highly disturbing images of a bloodied Reeva Steenkamp's head wound without any prior warning to viewers. eNCA blamed the Combined Artistic Productions Oscar Pistorius Trial TV channel which was providing the channel feed it was using. Sky News, in a filed and edited story included the images on the same day, but blurred it. In May 2013 Sky News showed viewers some of the blood-smeared rooms inside Oscar Pistorius' home. 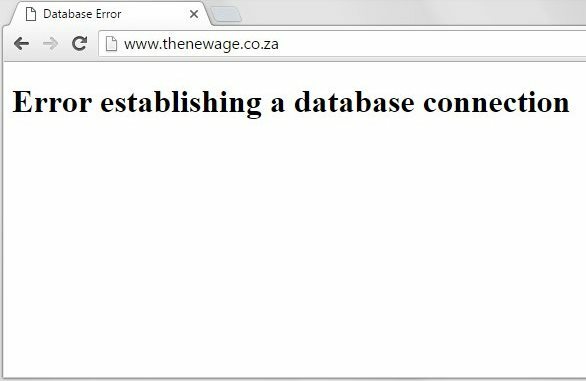 After downing SABC's websites, Anonymous Africa downs Gupta-owned websites of ANN7 TV news channel, The New Age newspaper, Sahara Computers. After its cyber attack on the SABC's websites on Sunday afternoon, the hacktivist group Anonymous Africa set it sights on the Gupta-owned ANN7, The New Age newspaper and Sahara Computers with all of the sites that went down and became unavailable on Wednesday afternoon for a period of time. Shares of Oakbay Resources that owns ANN7, The New Age, Sahara and other subsidiaries, plummeted on the Johannesburg Stock Exchange (JSE), falling a massive 91%. Anonymous Africa says its taking the actions over what it calls "censorship and Apartheid style tactics to withhold and censor the the people of South Africa". Oakbay in a statement told TV with Thinus that "Oakbay is aware of attempts to hack into its websites and has taken preventative measures, in collaboration with its IT consultants." "Whilst some of the company's websites are running slower than normal, the matter is under control". The SABC and its controversial boss Hlaudi Motsoeneng has come under heavy and near universal criticism the past few weeks over highly controversial and shocking decisions at the public broadcaster that critics, academics, media experts, political parties, and civil society groups have all slammed as censorship. A public petition that has already amassed thousands of votes and keeps growing has been started, asking the broadcasting regulator, Icasa, to invervene and to "stop SABC censorship". As chief operating officer (COO) Hlaudi Motsoeneng announced that the SABC's SABC TV News will now censor visuals from public protests to no longer show property destruction and The Editors show on SAfm was abruptly cancelled last Sunday. On Wednesday Anonymous Africa said it will follow up the SABC attack with one aimed at ANN7, the TV news channel on MultiChoice's DStv satellite pay-TV platform, The New Age newspaper and Sahara Computers, all of which saw their websites go down and become unavailable for a while. UPDATE Wednesday 15 June 2016 21:30 - on Wednesday night Anonymous Africa took down ANN7's website for a second time on Wednesday and made it unavailable again. 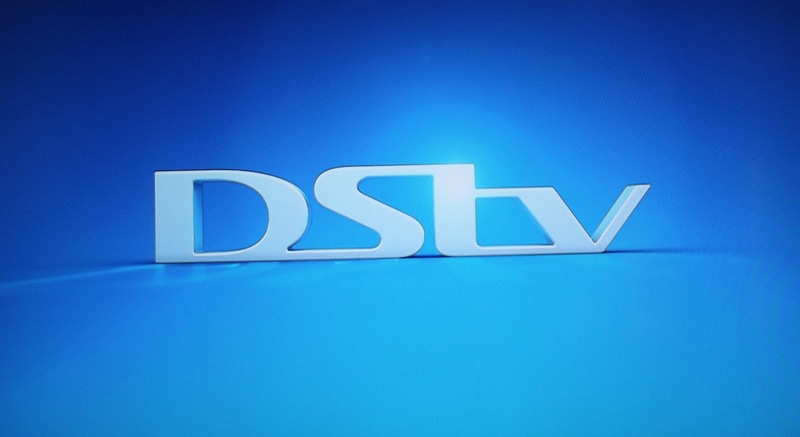 DStv fined almost R1 million in Sierra Leone over subscription fee price hike; only has a week to pay; slammed by regulator for 'unfairly profiteering' from subscribers. 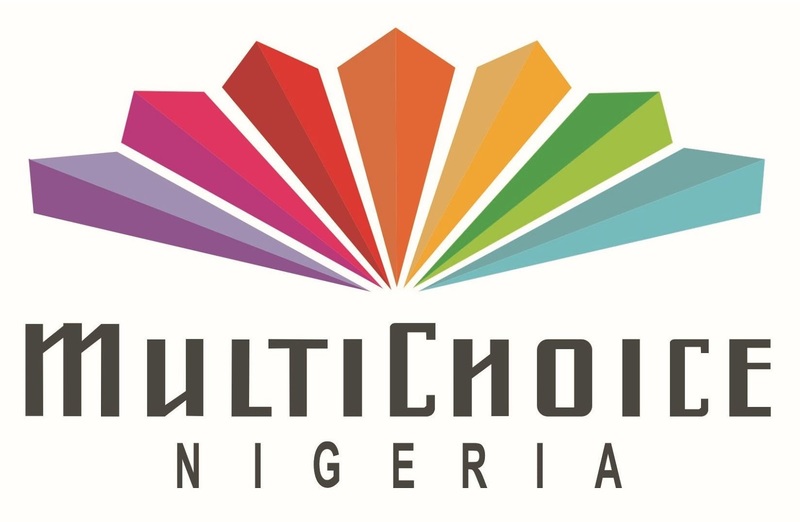 MultiChoice has been fined a massive R968 000 (Le250 million / $63 335) in Sierra Leone by that country's broadcasting regulator after it has been found guilty of overcharging DStv subscribers - and has only one week to pay it. The shocking fine imposed on the satellite pay-TV operator through its Sierra Leone agent Transnational Sierra Leone Limited, comes as aggressive African broadcasting regulators in several nations the past few months have started to bare their fangs at especially subscription television services. Nigeria's broadcasting regulator - the National Broadcasting Commission (NBC), that has seen several allegations of corruption leveled against it - has twice in the past few months slammed MultiChoice and ordered shows banned, impacting the entire continent. MultiChoice and Discovery Networks International first had to censor the show I Am Jazz on TLC Entertainment (DStv 135) in October 2015 and yank it from the schedule shortly before it was due to start, and last month NBC forced MultiChoice and NBCUniversal International Networks to immediately remove all remaining episodes of I Am Cait from E! Entertainment (DStv 124). Since both TLC Entertainment and E! 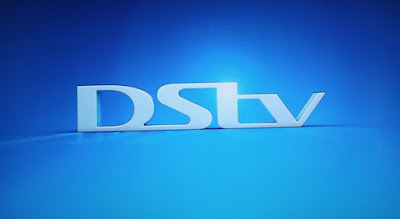 Entertainment only have one channel feed into Africa, the Nigerian regulator's censorship means a blackout of the shows for DStv subscribers across the entire Africa, including South Africa. Meanwhile the Kenya Film Classification Board (KFCB) in January this year threatened to ban and block Netflix in Kenya since the video-on-demand (VOD) streaming's service arrival in Africa at the beginning of this year, slamming Netflix as "a threat to our moral values and national security". Now Sierra Leone's National Telecommunication Commission (NATCOM) has found Transnational Sierra Leone Limited, the company that's the sole agent to represent MultiChoice Africa in Sierra Leone, guilty of apparently indiscriminately overcharging DStv subscribers in the West African country. With DStv the dominant pay-TV service in Sierra Leone, Transnational Sierra Leone said DStv subscriptions had to increase given the weakening of the Sierra Leonean Leone against the dollar - the currency MultiChoice acquires most of its TV content in that's shown on DStv. Transnational Sierra Leone Limited told NATCOM that DStv subscription fee increases come from South Africa and is made in relation to international currency fluctuations. NATCOM gave the pay-TV operator just one week to pay the fine or said it will be shut down. Momoh Conteh, NATCOM chairperson told APANews that "If you are doing business and want to maximize profit, fine. But you can't do it at the expense of the people". According to the Sierra Leone Broadcasting Corporation, DStv was fined for "unfairly profiteering to the disadvantage of customers" and that the "decision was as a result of defiance by the management of DStv to review its rates". 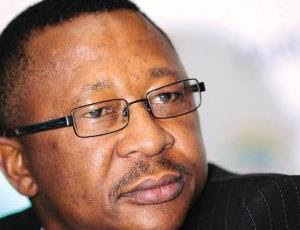 NATCOM warned in a letter in mid-May that the DStv subscription increase that happened at the beginning of May was "unilateral and unacceptable" since it wasn't done in consultation with the regulator. MultiChoice Africa tells TV with Thinus in response to a media enquiry that the fine is being disputed through regulatory channels. 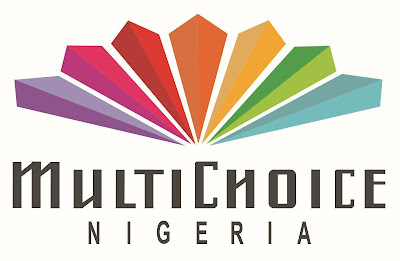 "MultiChoice and its agent in Sierra Leone, Transnational Limited, learnt through the media of the fine imposed on Transnational by Sierra Leone's National Telecommunications Commission (NATCOM) for the adjustment of the subscription fee in Sierra Leone to reflect the increase in the rate of exchange between the Leone and the US Dollar". "Transnational is disputing the basis of the fine as subscriptions are charged in United States dollar ($) and there has been no increase in the price of the DStv service." "Transnational is liaising with NATCOM to resolve this matter through the relevant legal and regulatory processes." MultiChoice and A+E Networks renew their multi-year carriage deal for the History and Crime+Investigation channels on DStv in Africa. 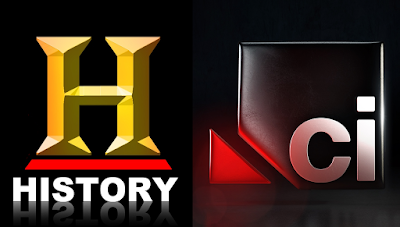 It means more Ancient Aliens: MultiChoice and A+E Networks has renewed the multi-year channels carriage contract to keep History (DStv 186) and Crime+Investigation (DStv 170) channels on the DStv satellite pay-TV platform. 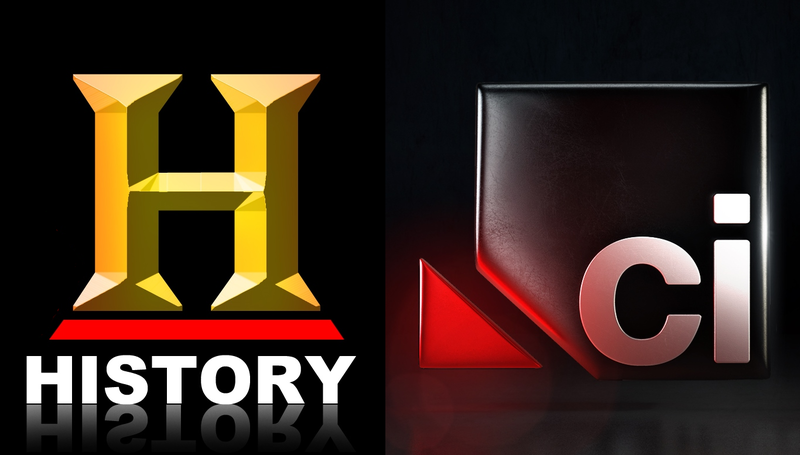 Channel versions of History, Crime+Investigation and Lifetime (DStv 131) distributed by A+E Networks UK will continue to be available on MultiChoice's DStv throughout sub-Saharan Africa. MultiChoice and A+E Networks are not disclosing the length of the new multi-year deal. MultiChoice added History to DStv in 2003, Crime+Investigation (previously Crime & Investigation Network) in 2007 and Lifetime in 2014. A+E Networks isn't providing specific viewership figures and ratings but says the channels have grown 55% since 2012 in key audiences. "We are pleased to continue our partnership with A+E Networks and to continue offering History and Crime+Investigation to our DStv customers," says Mark Rayner, MultiChoice South Africa CEO. "We are delighted to secure a long-term renewal for our channels with important platform partner MultiChoice," says Yusuf Nabee, A+E Networks general manager for Africa. "The past two years have seen tremendous growth for A+E Networks' business in Africa. Today's announcement demonstrates our continued commitment to this market and we are excited about its future potential." Shock plunge in SABC protest coverage; the significant down trend in SABC News reporting of protests that came before the censorship of protest visuals. 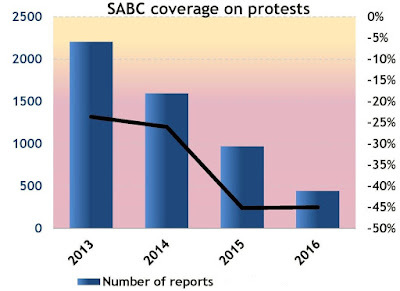 A careful analysis tracking SABC coverage the past three years shows how the SABC's coverage of public protests in South Africa has sharply plunged - although the number of actual protests has sharply increased. The decline of protest coverage in South Africa by the SABC should be seen in the light of recent diktat by the SABC's highly controversial chief operating officer (COO) Hlaudi Motsoeneng that SABC TV news will censor visuals of public protests, with an immediate ban on showing destruction of property. 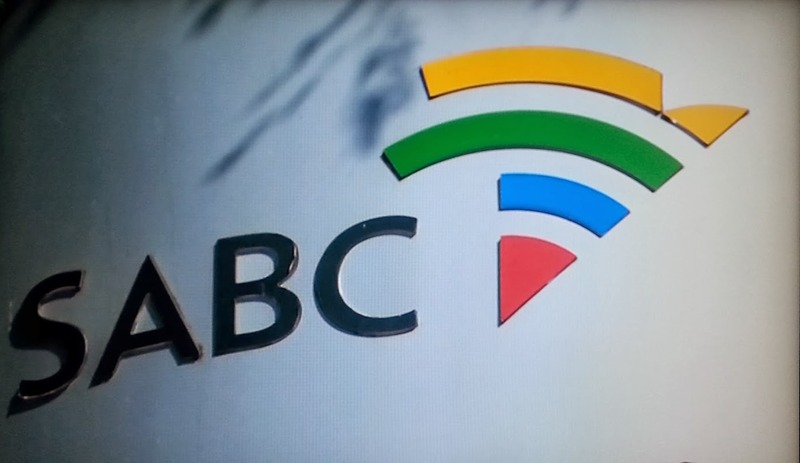 The decision has been met with near-universal condemnation from the public, media experts, academics, political parties, civil society groups, public broadcasting and civil rights pressure groups and has lead to a growing petition to the broadcasting regulator, "Stop SABC Censorship" that has already amassed thousands of signatures and keeps growing. An analysis of SABC coverage data spanning from 1 January 2013 to May 2016 shows how the SABC and e.tv have been covering public protests in South Africa the past three years. It reveals how protest coverage by the SABC fell from more than 1 400 reports in 2013 to just under 500 so far this year by the end of April. Meanwhile the actual number of public protests in South Africa actually rose in 2014 and was more in 2014 and 2015 than in 2013. In the first four months of this year, public protests have shot up. 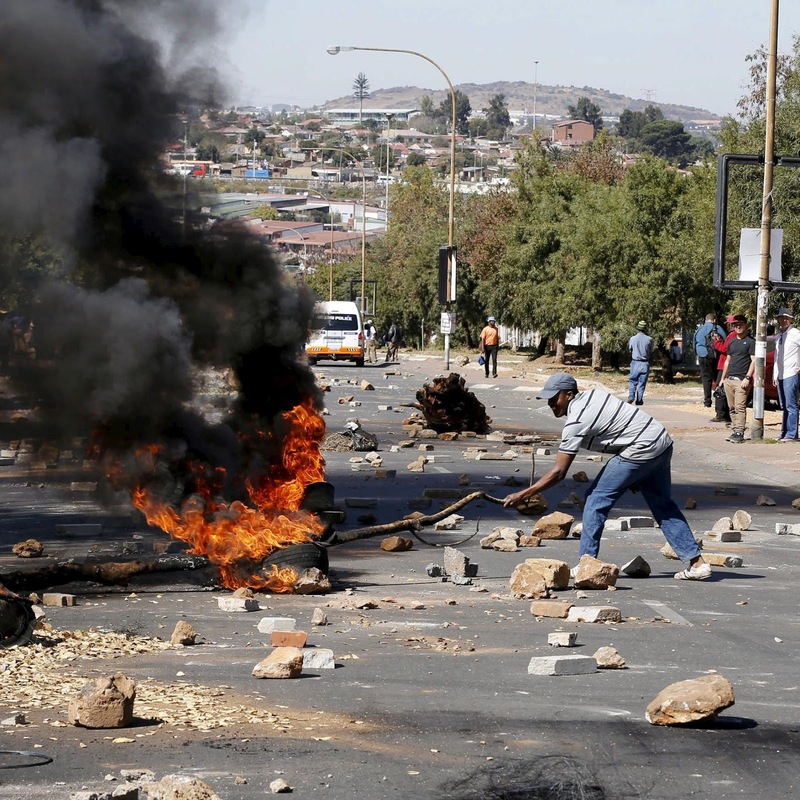 According to Municipal IQ the majority of public protests take place in informal settlements and under-developed areas where people are unhappy about service delivery by the government that remains a challenge in these areas. Two conclusions from the Market Tenor research are firstly that the SABC is not covering protests in South Africa to the extent that they're actually happening. Secondly, a sharp decline in, and less coverage of protests didn't mean a decline in the number of actual protests happening or that the incidence of protests go down because of a lack of coverage shown on the SABC. According to the careful data analysis of the SABC's public protest coverage by media monitoring company Media Tenor, SABC News coverage of protests started a downward trend for the three years before Hlaudi Motsoeneng's recent shock censorship announcement. For years Media Tenor has consistently tracked the prime time news reporting on SABC1, SABC2 and SABC3 along with the evening news on e.tv, and according to Media Tenor the SABC's protest coverage dropped significantly. "There is a clear trend that protest coverage on the SABC has been declining significantly on terms of the total number of reports," says Media Tenor researcher Jordan Griffiths. "Although the SABC announced its planned decrease of protest coverage, research suggests that this has already been happening since 2013". 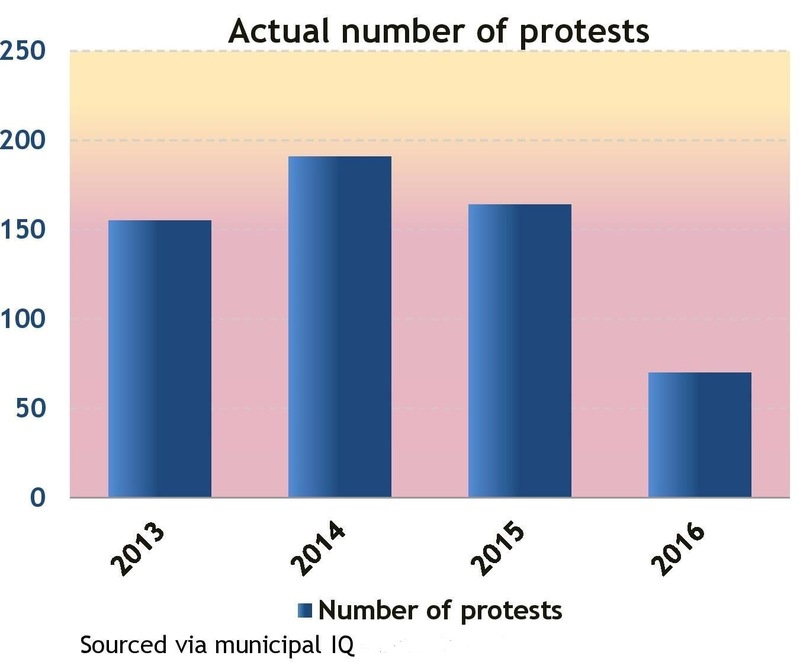 "We have also correlated our research with the total number of major protests that have been reported through Municipal IQ. What is clear is that the argument that media coverage on protests leads to more protests, is invalid," says Jordan Griffiths. According to the research, e.tv demonstrates consistency in its news reporting compared to the SABC. When looking at e.tv's coverage on public protests to that of the SABC, e.tv can be seen as somewhat more consistent in the broadcaster's dedicated levels of coverage from 2014 onwards. According to Media Tenor, coverage of protests by the SABC is not as dominant as those at the public broadcaster believe. Out of the top 10 subjects covered by SABC News, reporting on public protests ranks number 9. 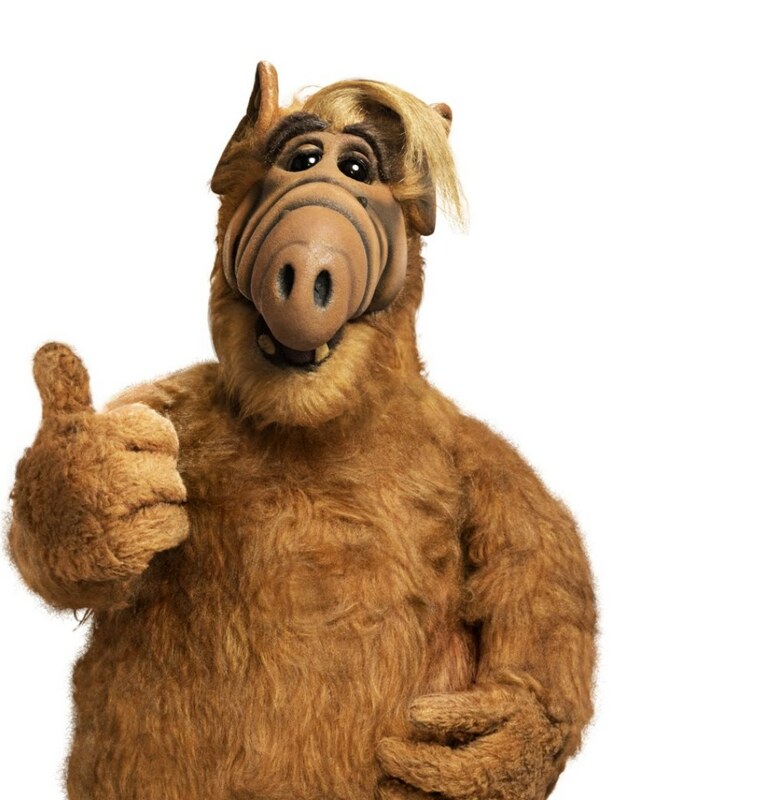 Alf has died; the diminutive actor Michu Meszaros who played the orange alien Gordon Shumway from Melmac has died, aged 76. Michu Meszaros, the actor who portrayed the furry alien creature in the American sitcom Alf for four years has died. He was 76. While Alf, broadcast in South Africa first on TV1 and then SABC2, was actually mostly seen as a puppet "standing" behind furniture, leaning over counters and sitting down, when he was walking around, it was Michu Meszaros inside the suit. The character was voiced by Paul Fusco. Viewers loved the zany adventures of the sarcastic Gordon Shumway, the Alien Life Form from the planet Melmac that lived with the American suburban Tanner family, and who had a fondness for cats (for dinner) and for creating utter havoc weekly inside the Tanner household. TMZ reports that Michu Meszaros was found unresponsive in his bathroom last week by his manager and rushed to a hospital in Los Angeles where he died in a coma. Michu Meszaros, born in Hungary, joined the Ringling Bros. Barnum and Bailey Circus in the '70s and once held the record as the "smallest man in the world". SABC boss Hlaudi Motsoeneng promises Reed Dance Live in September; slams SA media again for unbalanced reporting and fixation on reporting corruption. The controversial SABC boss Hlaudi Motsoeneng as part of his local content TV drive is promising viewers Reed Dance live in September and again slammed South African media for being fixated on wanting to report corruption and not "good stories to tell". Hlaudi Motsoeneng said the SABC was showing the United Kingdom's Queen Elizabeth II on television "the whole day" when he joined the South African public broadcaster but that the Zulu Reed Dance will be broadcast live in September. Late last week now 6 months and counting since the shock suspension of the SABC CEO Frans Matlala without any public explanation and who's nowhere to be seen, Hlaudi Motsoeneng first paid the Venda king a courtesy visit on Thursday, followed by a visit to the Zulu king. Hlaudi Motsoeneng promised Venda King Toni Mphephu Ramabulana in Thohoyandou major broadcasting infrastructure upgrades. "What we need to do there, because we have buildings there, we need to build studios. So that when production house comes, and you produce content, you don't go to Auckland Park, you are able to shoot here in Thohoyandou," said Hlaudi Motsoeneng on SABC News. Hlaudi Motsoeneng said all languages will be treated equally by the SABC. "So within SABC television platforms from 1 July, you will see a different SABC. I have been saying to colleagues that transformation is not negotiable, we just implement". Toni Mphephu Ramabulana said on SABC TV News he supports Hlaudi Motsoeneng's censorship decision to ban visuals of property destruction during public protests. "We support the decision by the SABC. We are saying to SABC, we are with you on this one." Next, Hlaudi Motsoeneng visited the Zulu kingdom and King Goodwill Zwelithini and spoke at the eNyokeni Royal Palace in Nongoma in northern KwaZulu-Natal. The SABC will improve its coverage of heritage activities by broadcasting live cultural and traditional events. On SABC News Hlaudi Motsoeneng said "when I arrived at the SABC, the broadcaster was only showing the Britain's Queen the whole day. Our king and other kings were not being shown live, but all that will change". "I know that there will be a cultural ceremony in September, that event will be shown live." The Zulu reed dance or Mkosi woMhlanga, that takes place over several days is a cultural event that lures tens of thousands of maidens annually who take part in dancing, singing, virginity testing and a reed-giving ceremony at the eNyokeni palace as part of an important rite of passage for young Zulu women. Hlaudi Motsoeneng again lashed South African media for not reporting balanced stories. "We are saying, if there is no water there, there is water there. Reflect the water there. You can't portray South Africa as if South Africa is just corruption; people are not delivering. Good story to tell." King Goodwill Zwelithini shower Hlaudi Motsoeneng with praise, calling him "our pride". 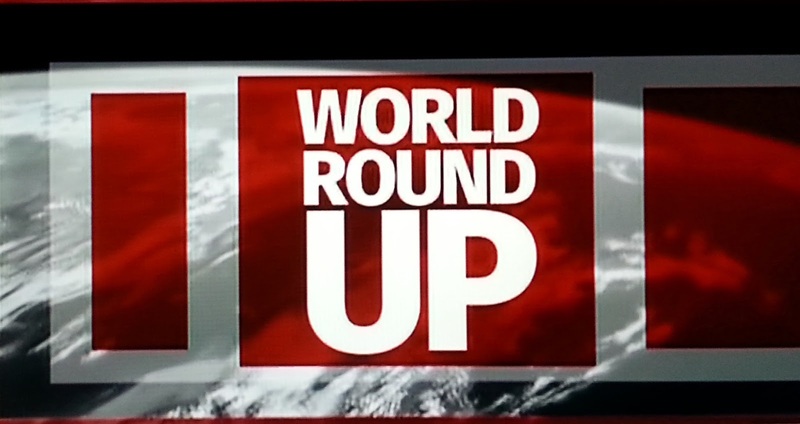 ANN7 news channel on DStv adds 3 new Saturday news shows, Newsweek, World Round Up, and Africa at a Glance. ANN7 (DStv 405) has added three weekend programmes, Africa at a Glance, World Round Up and Newsweek from this past weekend. None of them, or any of the repeats appear on MultiChoice's DStv electronic programme guide (EPG) for ANN7 so viewers can't set any actual recordings. 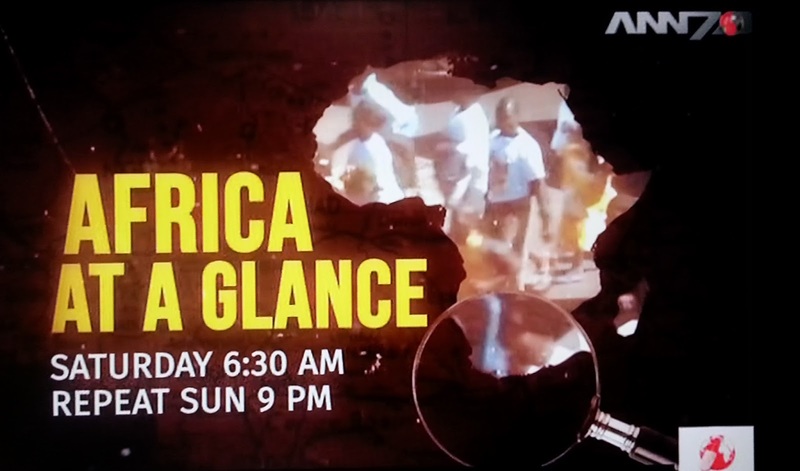 Africa at a Glance is broadcast on Saturday mornings at 06:30 and again on Sundays nights at 21:00 on ANN7. The show is produced by Charmaine Ngwenyama. "I'm excited to be producing a show that will link viewers to African stories that seldom make it pass the news desk. The show will give viewers an insight on all the good and bad news stories in Africa over the past week". 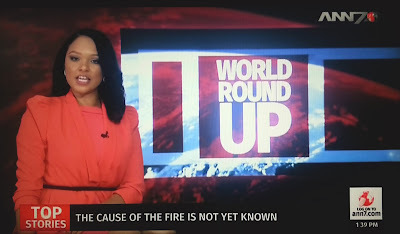 World Round Up is broadcast on ANN7 on Saturdays at 13:30 and is produced by Fabian Rainers and ANN7 says the show focuses on world news in a compelling and engaging manner. "I've always wanted to produce a show dedicated to informing the audience about what is happening in their world," says Fabian Rainers. "Often we are so caught up in our own country, ignoring atrocities that take place in other parts of the world; the suffering of other people". 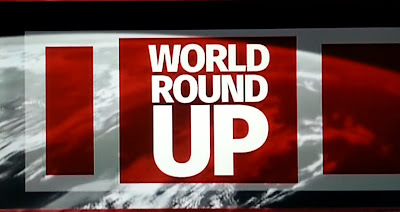 Newsweek is broadcast on ANN7 on Saturday's at 16:00 and repeated on Sundays at 12:30. "We understand that viewers might not have the time to catch up on the news every moment, so we will be bringing them Newsweek which is 30 minutes of non-stop news, focused on recapping the week's biggest events," says producer Pankaj Mishra. New Marvel superhero drama series, Legion, coming to South African viewers on FOX or FX channel in early 2017 on the same date as it starts in America. The new Marvel Television drama series, Legion, will start in South Africa on FOX (DStv 125 / StarSat 131) or FX (StarSat 133) early in 2017 at the same time as it starts in America and 125 countries worldwide. FOX Networks Group has picked up Legion and will bring the drama series to South African viewers on the same day and date worldwide when it starts in the United States. Legion, created by Noah Hawley, is set in the same universe of Marvel's X-Men franchise and will start in 2017 on the FX channel in America. Legion revolves around a young man who's more than human. David Haller (Dan Stevens) has struggled with mental illness since he was a teenager and is diagnosed as schizophrenic. David has been in and out of psychiatric hospitals for years but after a strange encounter with a fellow patient, he's confronted with the possibility that the voices he hears and the visions he sees might be real. The first season of Legion will have 8 episodes and will be filmed in Vancouver, Canada as a production from FX Productions and Marvel Television. "Legion brings the X-Men universe to life, as a character-driven, serialized TV show, in a truly amazing new way and we're pleased that X-Men fans will have the opportunity to see it simultaneously in the 125 countries where FOX is available," says Peter Rice, FOX Networks Group chairperson. 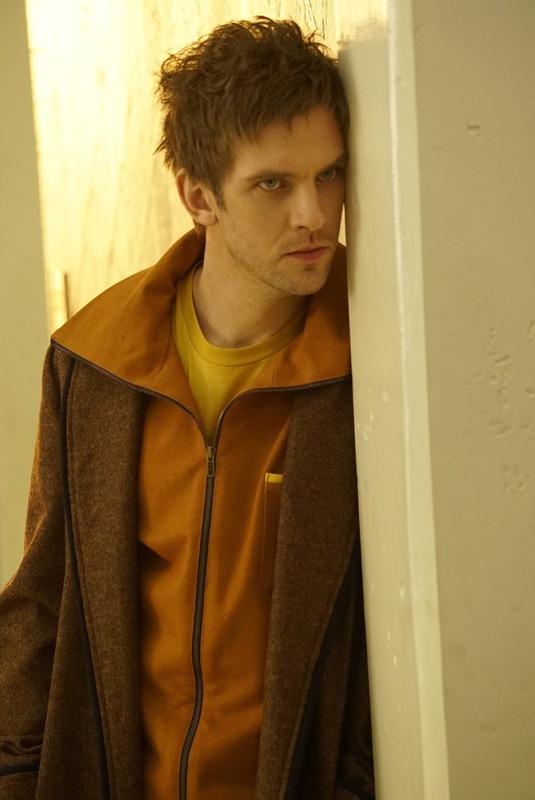 "FX is thrilled to collaborate with our international partners to bring Legion to audiences worldwide and the day-and-date delivery will make this a truly global event," says Eric Schrier, the president of original programming at FX Networks and FX Productions. "With the universal appeal of the X-Men franchise, fans will be amazed with the artistry and ambition that Noah Hawley and this extraordinary cast have brought to Legion." "We are thrilled to be partnering with FOX Networks Group to launch Legion to a massive global audience," said executive producer and Marvel's head of television, Jeph Loeb. “In our storytelling, it is imperative to us that we're creating characters and a universe that resonates with people around the world and we are so proud to introduce this cast of characters to fans everywhere". Oakbay CEO Nazeem Howa, of which ANN7 forms part, says he supports SABC boss Hlaudi Motsoeneng's censorship of protests visuals on SABC TV news. Oakbay CEO Nazeem Howa says he supports the censorship decision of SABC boss Hlaudi Motsoeneng to ban visuals of public protests on SABC TV News. 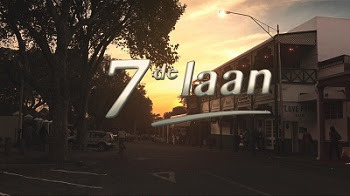 The ANN7 (DStv 405) TV news channel on MultiChoice's DStv satellite pay-TV platform is run by Infinity Media Networks, a subsidiary of the Gupta family owned Oakbay Investments. 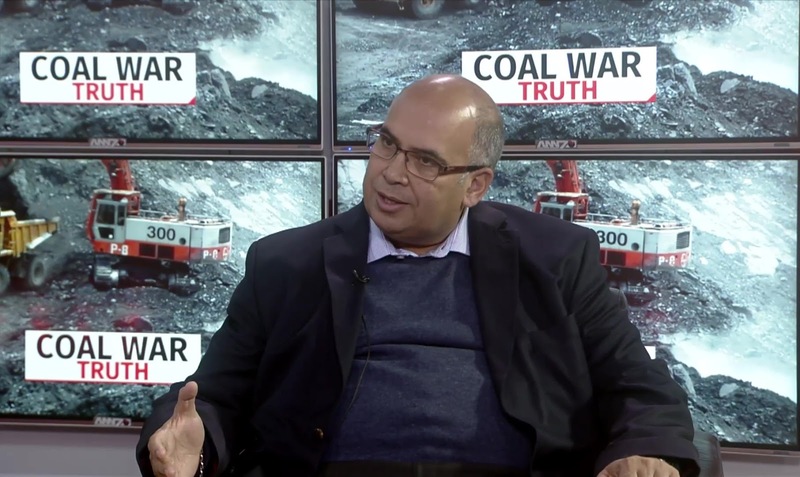 In an interview on Sunday with News24, Nazeem Howa said "I would support the SABC's position". "At the end of the day it would be up to the editor, who is in charge of our TV station [ANN7] and the editor in charge of our newspaper [The New Age] to make that decision." Nazeem Howa told News24 he doesn't see it as censorship. "Personally I do believe that we [the media] do encourage violence. That is a belief that I do have". EFF's Juju slams eNCA as 'racist' and claims biased election coverage reporting; eNCA says it does balanced reporting; will meet with the political party next week. As sure as there's sunshine, there will always be another summer season on Clifton's beaches, another strike season as unions toyi-toyi during wage negotiation season, and then, of course, election season. During this period - South Africans go to the polls on 3 August - the elections cycle is always filled with grandstanding and posturing from politicians and one weapon from their evergreen arsenal: attacks on the media. The TV news channel eNCA (DStv 403) has come under fire from the Economic Freedom Fighters (EFF) political party, with its leader Julius Malema that threatened the eMedia Investments channel on MultiChoice's DStv satellite pay-TV platform with mass action. Julius Malema slammed eNCA for alleged biased election news coverage, saying on Twitter that "I think we should teach this racist eNCA a lesson by paying them a visit with the masses before elections because of their bias to the Democratic Alliance (DA)". eNCA says its aware of Julius Malema's utterance, and says the news channel does balanced reporting. "As an independent news service, eNCA is unequivocally committed to ensure that we treat all political parties fairly and provide our viewers with the balanced reporting they need to make informed voting decisions," says Anton Harber, eNCA's editor-in-chief. "In addition, our election coverage is being monitored by Media Monitoring Africa (MMA), an organisation that strives to ensure fair, free, quality and ethical journalism on the continent, and we will use their reports to ensure that we meet the highest possible standards of coverage". 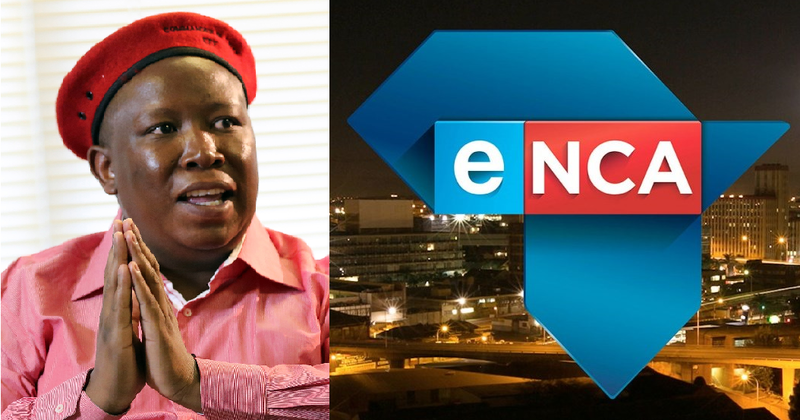 "eNCA's management has arranged a meeting with the EFF next week and will present detailed data around the channel's fair coverage of the party," said Anton Harber. [ED] on DStv covering Durban International Film Festival from 21 June with daily live interview show; will show 3 films daily including opener The Journeyman. [ED] (DStv 190) will be doing a week of special programming centered around the Durban International Film Festival (DIFF) from 21 to 25 June. During this period [ED] through its AfricaFocs programming strand will broadcast 3 films from DIFF daily that will include the opening night film, The Journeyman, with a full day of rebroadcasts on 26 June. Besides the films, [ED] will do a daily live broadcast from the film festival in Durban from 16:00 that will include interviews with filmmakers and film industry experts. [ED] will show films like the powerful documentaries The Revolution Won't be Televised from Senegal, Sweden's Martha & Niki, the international arms-trade story based on Andrew Feinstein's book Shadow World and Soweto, Times of Wrath by a group of 6 Soweto filmmakers that cast the spotlight on contemporary Soweto. This film, shot and directed by British filmmaker Andy Jones, is a moving tale of the legendary singer's last 10 years before her death in 2013. Shot mainly in Zanzibar's Stone Town and in the UK, the movie shows Bi Kidude's musical journey. The Journeymen chronicles the journey of three young South African photographers, Wikus de Wet, Sipho Mpongo and Sean Metelerkamp, as they travel 24 000km in a motorhome throughout South Africa, with cameras strapped to their chests, to explore the mood and feel the pulse of contemporary South Africa..
Thiat and Kilifeu, Senegalese activists and underground hip-hop singers, lead this one-year revolution against President Wade, until his fall in 2012. But what is beyond a revolution? Girls Don’t Fly delves into the daily routine of the AvTech Academy and tells the story of four young Ghanaian girls learning to fly. Captured by a sextet of young Sowetans, these snapshots present a country whose people are angry, wearied by corruption so endemic they are blind to it. But there are those activists, young and old, that challenge social and administration ills. This documentary was born out of the need to preserve history and the stories of participants in the struggle for the liberation of Angola. Three directors made this frontier-set documentary offering viewers a raw glimpse into the lives of African migrants hoping to make it into Europe by scaling a barrier between Morocco and the outlying Spanish city of Melilla. The untold story of slain South African liberation fighter, Ashley Kriel. During the oppressive apartheid era Ashley was known as the Ché Guevara of Cape Town’s notorious ‘Cape Flats’. Filmed in four continents, Walls presents eight personal stories of people who are personally affected by physical barriers. The Mexico/USA border, the Moroccan/Spanish border and the Zimbabwe/South African border all have barriers to prevent people crossing, but that doesn’t stop their attempts. In 2010 Martha Nabwire and Niki Tsappos took part in the biggest international Street Dance Competition, Juste Debout in Paris. It was the first time ever that two women became World Champions in Hip Hop. This film depicts their love of dance, each other and about friendship put to the test. Weapons manufacturers, world leaders, arms dealers, military leaders, and behind-the-scenes movers come under director Johan Grimonprez's scrutiny. This film tells the moving and simple story of Syrian refugees as told by their phones and memory cards. The film takes place in one of the biggest refugee camps in the world: Zaatari, in Jordan. Shake the Dust is a feature documentary that tells the stories of break dancers from conflicted "third- world" communities around the globe who, although separated by cultural boundaries and individual struggles, are intrinsically tied to one another through their passion for dance and hip-hop culture. Democrats was filmed over the course of three years following two political rivals in Zimbabwe. Sarafina! shown for free on Youth Day, 16 June, at cinemas across South Africa and on e.tv - but not on the SABC. The film Sarafina! will be shown for free in cinemas and on e.tv on Youth Day on Thursday - but not on the SABC. 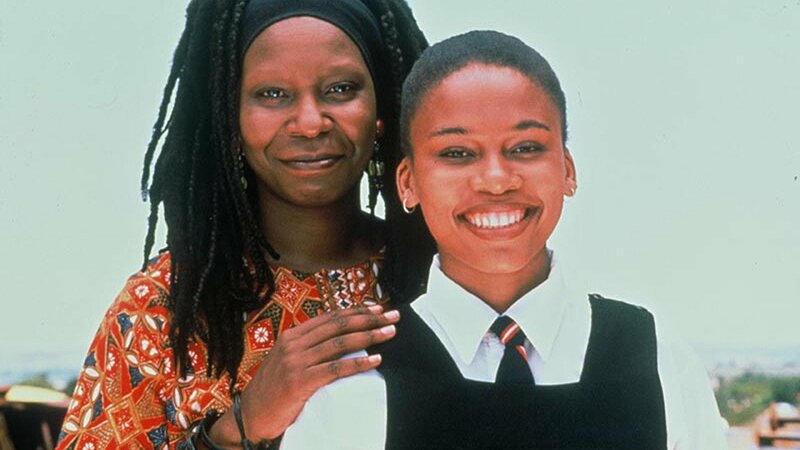 For the 40th anniversary of the "Soweto Uprising" on 16 June 1976, e.tv will broadcast Sarafina! on Thursday at 20:30 and repeated on Friday morning at 00:15, with another showing on the eMovies+ channel on OpenView HD chanel 107 on Saturday 18 June at 18:00. "Sarafina! is a movie that best portrays the significant history and role of the youth of 1976. Our viewers should expect to be empowered and educated," says Marlon Davids, the acting managing director of e.tv's channels division. The film, set in Soweto, will also be shown for free at cinemas on Thursday across South Africa at 12:00.
e.tv, VideoVision Entertainment, United International Pictures, Ster-Kinekor, Nu Metro and Times Media are working together to screen Sarafina! with Leleti Khumalo, John Kani and Whoopi Goldberg, and directed by Darrell Roodt. Sarafina!, made in 1992, follows the story of a group of students who publicly protest against police presence in their schools during South Africa's Apartheid. The film contains scenes of violence, public protests and damage of property during protests. The SABC's chief operating officer (COO) Hlaudi Motsoeneng controversially announced at the end of May that the SABC will censor with immediate effect all visuals on SABC TV News of public protest as it pertains to the destruction of property. "Sarafina! has been an inspiration to me, firstly in getting the film made, and then being inspired by how it was embraced by the people of South Africa and the rest of the world," says producer Anant Singh in a statement. Cinemas that will show Sarafina! on 16 June include: Baywest, Bedford Centre, Blue Route, Bridge, Brooklyn, Canal Walk, Carlton Centre, Clearwater, East Rand Mall, Eastgate, Eikestad, Galleria, Gateway, The Glen, Key West, Kolonnade, Loch Logan Development, Maponya Mall, Menlyn Park, Mimosa, Mooi River, Newtown Junction, Northcape (Kimberley), Parow, The Pavilion, Sandton, Southgate, Sterland Centre, TygerValley, Vaal Mall, Nu Metro V&A and Walmer Park. 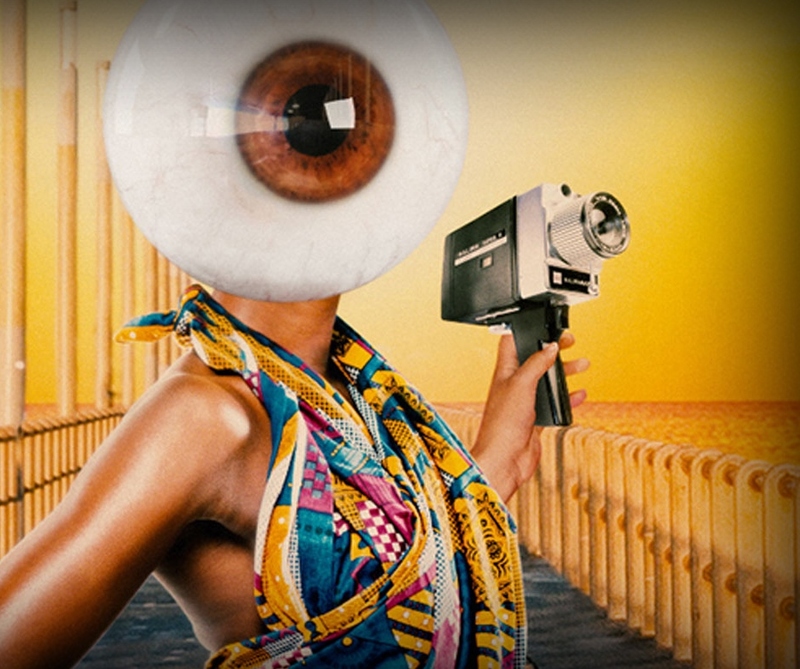 In Kwa-Zulu Natal, Videovision Entertainment has teamed up with the KwaZulu-Natal Film Commission for community screenings from 20 to 26 June in Umlazi, Clermont, Chesterville, KwaMashu and The Bat Centre. In Johannesburg the The Soweto Theatre will show Sarafina! until 19 June and at the Jo’burg Theatre between 20 and 25 June. In Cape Town the film will be screened for school children from the Athlone and Mitchells Plain areas on 22 June. Rhythm City actor Jamie Bartlett replaces Lalla Hirayama as judge on the 7th season of SA's Got Talent on e.tv; Shado Twala, DJ Fresh both back. 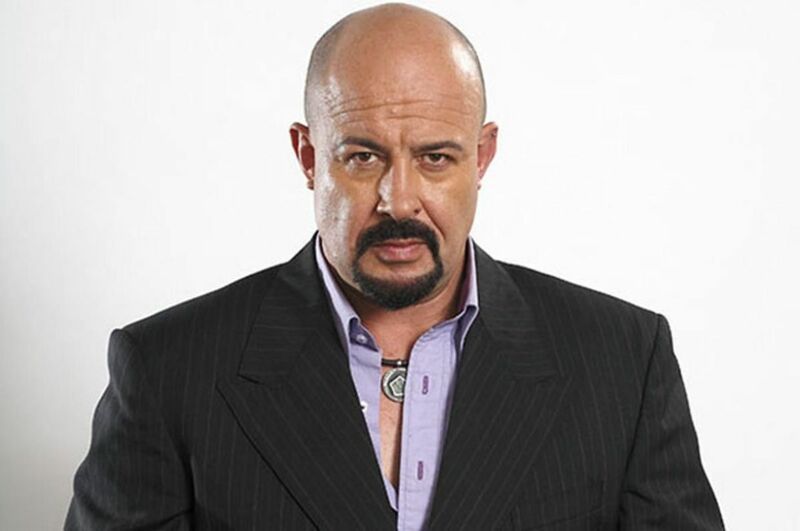 Actor Jamie Bartlett is replacing Lalla Hirayama as a judge behind the table for the upcoming 7th season of the reality talent competition show SA's Got Talent on e.tv. Jamie Barlett, most famous for his role as the evil puppet master character of David Genaro on the e.tv soap Rhythm City is replacing Lalla Hirayama after two seasons of the Rapid Blue produced show that will start on Sunday 4 September at 18:05 on e.tv. Lalla Hirayama is too busy working across M-Net channels fronting shows like M-Net Movies' Lallaland. Both Shado Twala and DJ Fresh will be back as judges together with Jamie Barlett, with comedian Mongesi "Mo" Mahlangu (Toll A$$ Mo) taking over as host from Tats Nkonzo. In a statement Jamie Bartlett says he's "ecstatic" about joining as a SA's Got Talent judge. "SA's Got Talent is a true celebration of top, local talent across the spectrum. I'm very excited at the prospect of being able to serve the talent and the show in my role as a judge. Viewers tuning into SA's Got Talent will see the real me - not playing a character, but daring the talent to move me". Marlon Davids, the acting managing director for e.tv's channels division says Jamie Bartlett's extensive professional experience in the South African theatre, film and television industries will stand him in good stead on SA's Got Talent. "We can't wait to see what he has to say about the talent that will be on stage - we know he'll be honest and tough to impress".